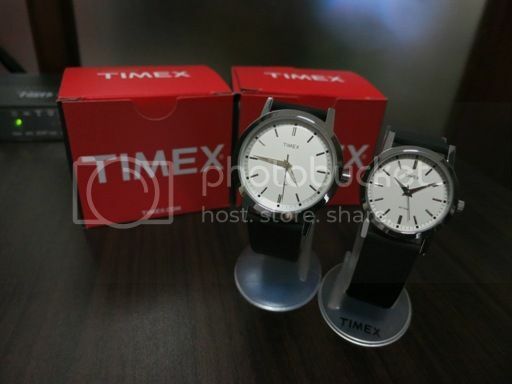 Two weeks ago, hubby went to SM Megamall to claim our free Timex couple watch that he got from his new Standard Chartered MasterCard and Platinum credit cards. The two Timex watches cost a little less than Php3,000.00; they’re great for everyday use. Giving away free couple watches is Standard Chartered’s way of enticing people to get credit cards from them. All you need to do is accept the two credit cards they offer and charge at least one purchase on any of those cards to get the free Timex watch for him and for her. This entry was posted in Couple Watch, Credit Cards, Standard Chartered, Timex Watch. Bookmark the permalink. ← Our Young Man Is Singing!